Unlikely but True. It's a U2 record which took twelve weeks to record. Edge Takes Lead Vocal. Numb. It's Got Stay (Faraway, So Close). The bang and the clatter. It Has Parables. 'The Prodigal Son returns and refuses his father's offer. He goes away and doesn't come back.' Bono on The First Time which started out as a reading of The Parable of The Prodigal Son written for Al Green. It Was Seriously Mixed Up. The Paul Oakenfold/Steve Osborne remix of Lemon, became a big hit in clubland, the first of several Zooropa tracks to get a DJ/Producer sonic makeover. 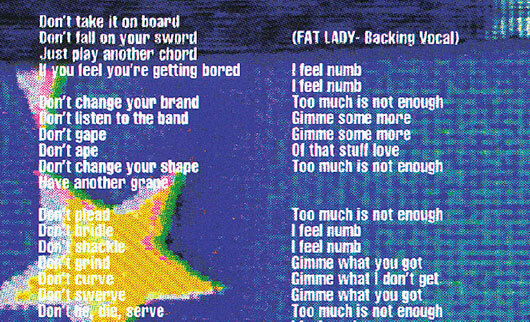 Two years later Lemon, Numb and Stay were on the tracklist when the band released Melon (Remixes for Propaganda) a limited edition CD for members of the fan club. Never heard Zooropa? Take a listen on our audio player. Zooropa was the 'save your life' albums for me. I was at an all time low, coming out of a highly abusive marriage, Zooropa was just the wakeup call I needed to get me back on my feet. Being single with two kids, trying to regain my sense of self, I would listen to Zooropa as my workout album and feel the weight of the world lift from my shoulders. Before then, I thought U2 were okay, but have carried the U2 torch since Zooropa healed my soul. Thank you boys, and my kids thank you too! How long have you known ? Does fear control our minds? Do we need a God? How did you know it was me? I love it cos its nuts.. When Zooropa was released , i went to Plato's in Utrecht (the Netherlands) to listen and buy the album. Something I never did before; normally I would just go out and buy the Lp or CD. While listening there were a number of songs that threw my off my feet. I had recently become a father for the first time and the relationship with my wife was , to put it gently; terrible. I left the store and didn't buy Zooropa: it was way too confronting to me. When later that year the marriage fell apart, one of the first things I did was to go out and buy Zooropa. It has been in the CD player for quite a while: Programmed on 3, 5, 7 and 9 .One night after a night at the town, i remember, I wrote down the lyrics of Dirty Day on the living room wall. It stayed there for like 2 months, The moment I picked up the pieces of my life and left that part of my life behind, I repainted the wall. Nowadays I love this album, 'cause of the impact it has had in a period in my life , when I needed hope and comfort. and looking back that was just what Zooropa offered me. Without this ordeal , my path would not have lead to this extraordinary beautiful woman I have the pleasure of sharing my life with now. So it it alle turned out for the best. Therefor U2 is more than just music; to myself it is the soundtrack to my life. With Love from Holland! Brillant and ever changing, the way that U2 challenges themselves. Loved the album and the birth of Mr Macphisto.... I leave behind video cameras for each of you... So many different amazing songs that continue to let me fall in love with them all over again... 20 years later. I remember listening to this album over and over that summer. It was so cool and funky while also being heavy in areas. I still love this album and am so glad the band followed through on their inspiration. For me Zooropa was the perfect soundtrack for the closure of my adolescence. I had left school and was out in the world trying to make sense of a lot of stuff that I didn't know existed (coming from a really small town). 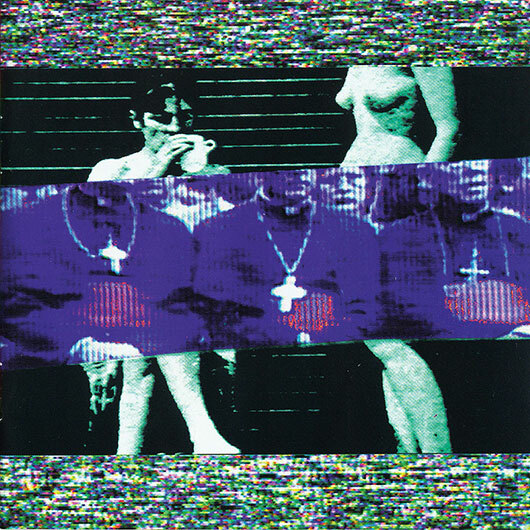 Zooropa complimented Achtung Baby perfectly, and marked the end of yet another reincarnation of the band. The songs from these two albums were always there, at wild parties, breakups, in the car, hanging out with mates. They all provided a sense of meaning for whatever was going on, and in the process gained a lot of context in my life. I now look back on them with great fondness, still amazed by their meaning. They are like an old friend. I loved this song, Babyface, the best of the album for me and one of my favorites of U2. I remember the first time that I heard the album and I was very surprised for the voice of Bono in Lemon. I can't believe it. Even today this album is really perfect for me. The first U2 album I ever heard was All That You Can't Leave Behind, and the second was Zooropa. That was quite a shock! Actually, like Achtung Baby, which wasn't remastered, Zooropa didn't need a remastered because it was perfect the way it was. Thinking about records that made us aware of U2´s wide variety of artistic expression, Achtung Baby comes to mind first. 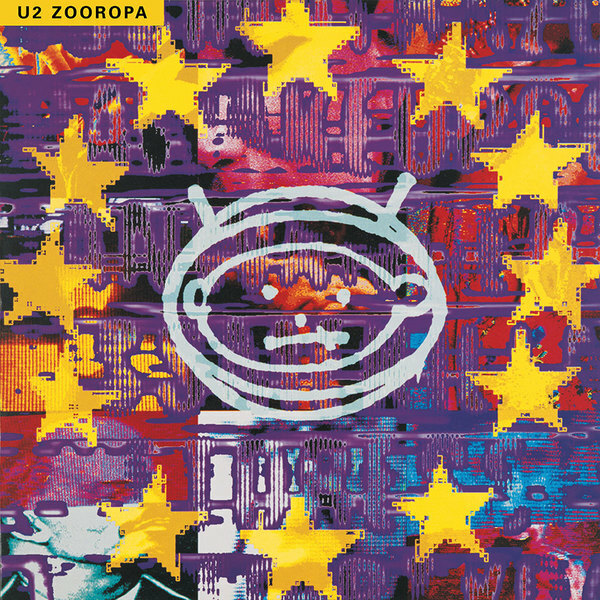 But the album that really surprised me with a stunning complexity of sounds was Zooropa. Shortly after its release I experienced it as a very artificial introduction into the world of the late 20th century and when listening I was thrilled to discover the fascinating result of U2´s courage to experiment. The album reveals its layers slowly, with an atmospheric piano intro evoking a dark mood reflecting our yearning for love and spirituality in confusing modern surroundings. A brilliant piece of work leading us to a surreal kind of Europe, an imaginary place populated by various characters. I queued for this album on Grafton street and was interviewed for the Pat Kenny radio show which was aired the following morning. An Aunt down in Wexford rang to say she'd heard it. From start to finish as Larry once famously said "It's a musical journey really." I love Lemon live. When this album was released was only four years without know what it was U2. But after 2006 when he became a fan, I knew this album is fantastic, alternative, one of the best works of the band. The sound of this album sounds wonderful, the lyrics elaborate. My son was four when Zooropa came out, and Stay was the first U2 song I ever herd him sing along too. I was just getting my head around Achung Baby , then Zooropa came along . What a gift! thankfully the impact wasn't too big to write about. it's just too big for here. in terms of push the envelope, this is, and will remain, the one. it is also the most peaceable, gentle and benign album creature in the U2 catalogue, its power all the greater for it. for sheer creativity in so little a time space, it's up there with the Rolling Stones and the like as a bomb of beauty. same for groundbreaking. and yes it deserved its Grammy for alternative, just made me feel sorry for the alternatives. So why has it not been reissued? Superb, fantastic, excellent, delightful, artistic, creative, emotional, moving, adorable, congenial, harmonious, delectable, captivating…..